Home / General / What is a Smart Repair? A “SMART Repair” is a very common expression in the automotive sector. What is it about? Let’s starts with the acronym SMART, which stands for “Small Medium Area Repair Technology”. It refers to a set of techniques and processes used to repair some specific areas of a vehicle. In a short time, the results are simply perfect. Some time ago, minor damages on vehicles required several days of intervention and high costs if compared to the nature of the damages. The SMART Repair techniques put an end to these interventions and offer faster, cost efficient and higher quality solutions. Scratches, dings & dents provoked by hail storms and in parking areas, bumpers and wheel damage are considered SMART Repairs. 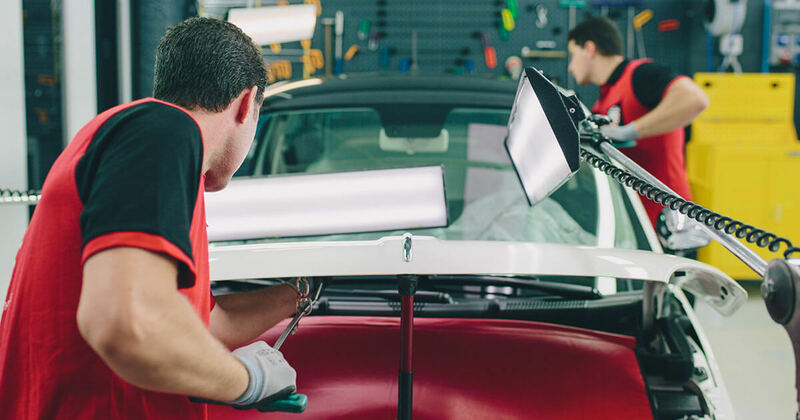 Because Lever Touch technicians are highly trained and specialize in small repairs, we are able to streamline the automotive body repair process, making it quick and cost-effective . Furthermore, Lever Touch took part in the Mobile Tech Expo 2019 in the city of Orlando, Florida. 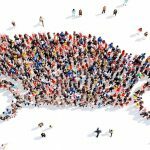 An international event that looks and offers In – Depth Techniques / Technology Evolution in the SMART Repair Industry. 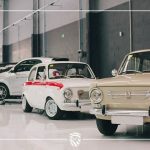 Paintless Dent Repair(PDR), also known as Paintless Dent Removal, describes a method of removing minor dents from the body of a motor vehicle. A wide range of damage can be repaired using Paintless Dent Repair as long as the paint surface is intact. PDR may be used on both aluminum and steel panels. The most common use for PDR is the repair of hail damage, door dings, minor creases, large dents, and body-lines damage. 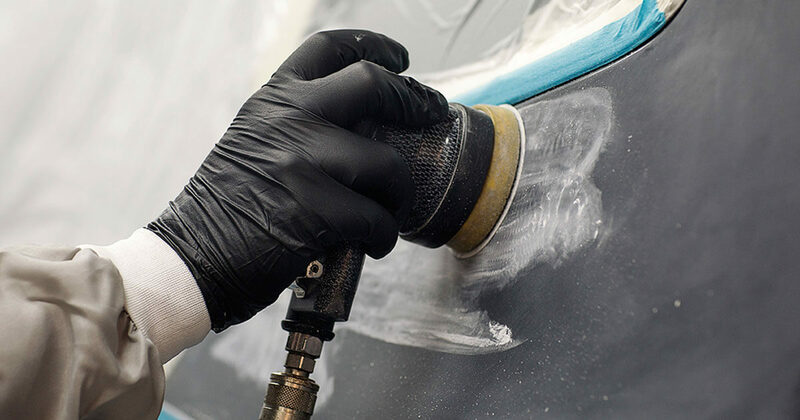 The PDR technique requires the right equipment and tools that enables an inexpensive repair of small dents without repainting the vehicle being necessary – the original paint is preserved. 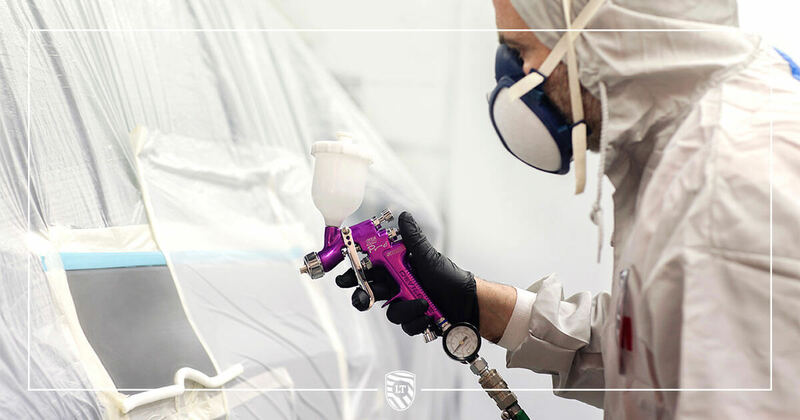 Our technicians at Lever Touch are trained experts in PDR and use the latest state-of-the-art technologies to repair dents without affecting a vehicle’s factory paint job. As the world leader in PDR, we have been continually improving the processes through our dedication to technology and innovation. SMART Repair also provides a solution to paint damages. Let us compare: Traditional repair vs. SMART repair. The traditional way of repairing dings, dents and scratches would often involve a lot of time spent disassembling and reassembling and definitely a request for a courtesy car for the customer, making it inconvenient and time consuming for both the customer and the repair shop. You can use SMART repairs to increase customer satisfaction. Compared to conventional repairs, SMART repairs offer high standard repairs at lower costs and on a same day basis. Meaning it is less expensive and more convenient for the customer. Our repair center, located in Barcelona, is a reference point in the use of SMART techniques. The philosophy of Lever Touch is specifically focused on providing Highly Skilled Technicians & Quality Products, resulting in customers satisfaction. We invite you to take a look at the structure and its installations.